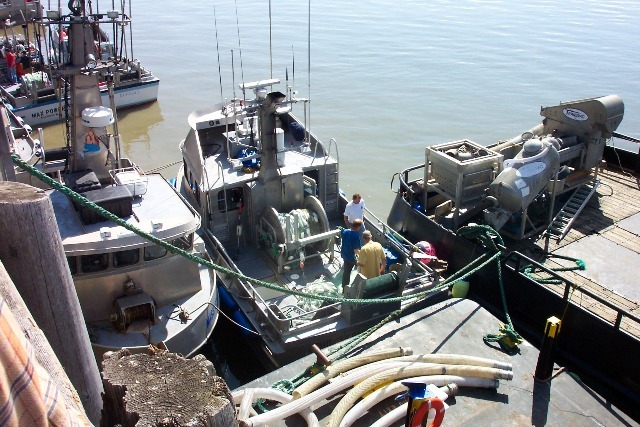 In the interest of improving salmon quality and fishing income, BBEDC's RSW Support Program provides assistance to BBEDC CDQ resident fishermen for initial and annual start-ups, maintenance, winterization and technical consultation for Refrigerated Sea Water (RSW) systems. The value of the services per applicant shall not exceed $1000 per year including any necessary travel and related costs. Applications will be accepted until June 7, 2019. To be eligible applicants must own a fishing vessel equipped with a mechanical refrigerated seawater system or be committed to installing one this calendar year through either BBEDC's Vessel Upgrade Grant or RSW Purchase Program. As with all BBEDC programs, a current BBEDC Residency Affidavit and Relationship Disclosure Form must be on file with BBEDC. Applicants must also hold an Alaska CFEC SO3T salmon permit or provide a copy of a contract to fish in the coming season with a CFEC SO3T salmon permit holder; the permit holder must also document residency in a BBEDC community.